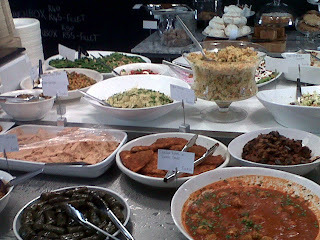 la dolce vita (di Cape Town): Homemade Middle Eastern Food- I LOVE!!!! 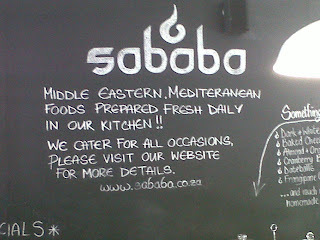 I Love Middle Eastern Food....maybe because it reminds me of Sicilian food - it incorporates a lot of the same ingredients: Aubergine, Mint, Chickpeas, Couscous, Almonds, Parsley etc...so today I was really happy to find sababa at 233 Bree Street. Some of you may already know the Seapoint branch, but this one is only 2 months old and has a great vibe with chairs and table on the sidewalk, a very friendly staff and a HUGE vegetarian selection. YEAH!!! so I decided to take the Lunch Box home. For R40-R45 you can get yourself a Meat + 3 SIDE SALADS!!!! 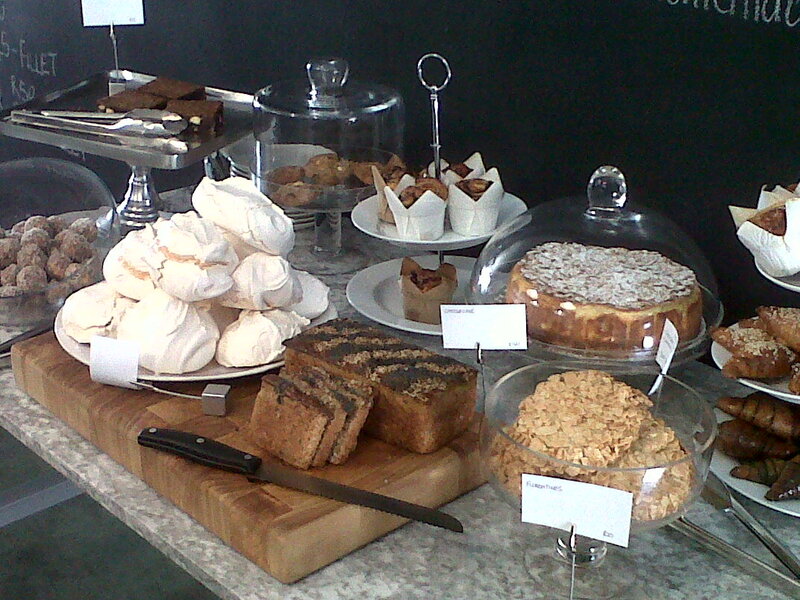 or a Vegetarian Main + 3 salads. I just finished eating mine and licked the eco-friendly take away container. Sababa is very GREEN, with solar heated water panels and all eco-friendly bio degradable packaging. One more reason to go. Oh Yes....and the sweets do not look that bad either.